2016 has seen Russell take up a regular compering spot at London’s Tales of Adventure, a monthly speakers event for adventure & travel stories. He’s hosted Snow & Rock evenings for a range of speakers such as Leon McCarron and Squash Falconer. An adaptable compère, from small Q&A’s round camp fires and intimate low key evenings, to pulling on his consulting strengths for big stage and key note speakers: every situation calls for a different tack and approach. 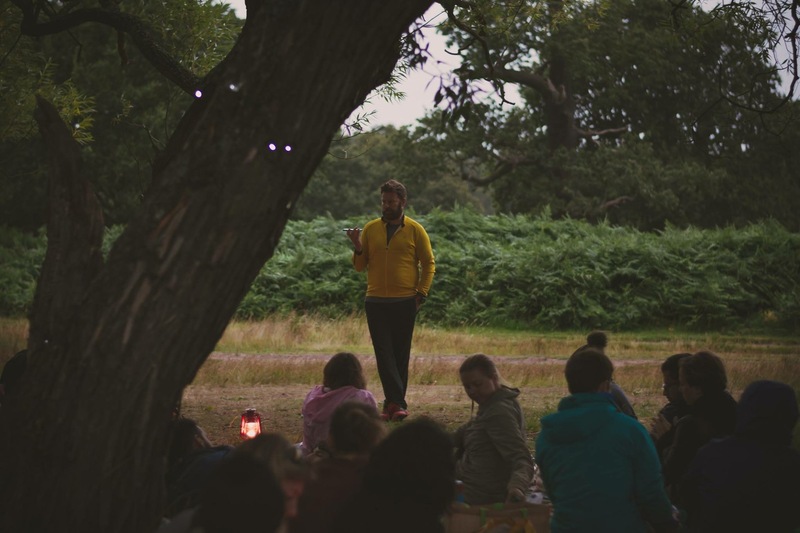 Autumn has seen the adventure festival boom – Russell presented the National Trust’s South West Outdoor Festival, a three day event with a mix of films, speakers and Q&A in natural surroundings and hosting speakers from The Meek Family to Monty Halls. Going forward he’s secured residency as this festival grows into 2017 and beyond. As Autumn sets in, Russell’s turning his hand to the Cancer Reasearch Tough Ten race series. He will be compering at the pre race village before joining the event to interview runners on the fly, documenting their journies and delving into how this charity changes people’s lives. He has also secured presenting at the first National Running show at the NEC in early 2018. Russell’s focus lies in presenting the big outdoor shows, drawing on his wealth of adventure experiences, his passion for cycling and mountaineering and exploring new skills in water sports. Through pushing his own limits in adventure he’s well placed to pin point those questions that delve into the darker side of why we explore ourselves and the world in which we live.